The Railway company Renfe is trying out a new cheap rate system that will be changing every day to adjust the supply to the demand, which will mean a dynamic price assignment to each seat in relation to the seats already occupied. Renfe announced yesterday that with this new strategy, the ticket rates that will be on the market will have discounts of up to 70%. This tool, with which the company intends to optimize the supply, will be tried out on the Madrid-Barcelona route to begin with, and as from next month, on the AVE route Seville-Madrid. The aim is, after a period of evaluation, to apply this new system to all the AVE trains throughout 2012, introducing innovations in its commercial strategy. “This first phase will serve to test out if the system works. Renfe have widened their discount offers offering five different levels, up to 70%, to reward the purchase of tickets in advance. The novelty is that the price discount assignment to each seat will be done dynamically. The system renews the offers assigned to each train everyday, depending on the demand”, they explained in a press release. This rate flexibility and tickets discount is one of the vindications of the tourist sector in Malaga, who consider that the province could benefit from the flow of travellers from Madrid even more with this strategy. The facts speak for themselves. The last report of the Coast’s Tourism Observatory, that the Tourist board does each year, states that with the introduction of the AVE into Malaga in 2008 there has been a spectacular increase, almost doubling the amount of passengers, of up to 749.793 travellers in total. Although as from then there has been a confirmed tendency to decrease, registering similar figures to 2009, with a slight drop of 0,05%. However, during 2010 the decrease of passengers on this route was reduced to almost five points. The professionals of the sector pointed out that the cost of the journey is the key factor for the use of this kind of transport. 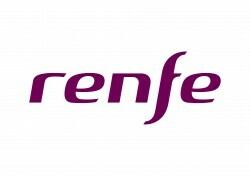 In this sense, Renfe communicated yesterday that with the new 70% ‘web’ offer, it will be possible to travel between Barcelona and Madrid from 35,30 euros and between Madrid and Seville, as from November, for 25 euros, maintaining the same standards of quality and punctuality as always. In this test project, five types of discounts will be included in three different offers for the AVE trains to Barcelona and to Seville: Star, with a 30% and 40%; Web, with discounts of up to 50%, 60% and 70%. Furthermore, the Table offer will remain the same, with a 50% discount for groups of four.